The home’s pier-and-beam construction minimizes the structure’s footprint on the prairieland setting, which has been kept in its native state. Perched in the shallow waters of Lake Austin, W Dock seeks to answer the question: what is the minimum number of elements needed to create a boat dock that is both structurally and aesthetically elegant? The answer is a light, economical structure that is greater than the sum of its parts. View the complete list of winners here. This summer the Hill Country House swept the design blogosphere, with features on Dezeen, ARCHITECT, Dwell, Curbed, ArchDaily, >Arquitectura Viva, and dozens of other websites. Located in Wimberley, Texas, the project serves as a beacon to show what could be: a self-sustaining modern country home, virtually independent of municipal water and energy. Meanwhile, the Vista Residence gained its fair share of attention with spotlights on Design Milk, Curbed, ArchDaily, Arquitectura Viva, and Inhabitat among others. Tucked away on a steep site in West Austin, the design of the house captures a sense of exploration and discovery and features a three-story sculptural staircase fabricated from plate steel. MRA’s work was showcased in Istanbul alongside projects from architecture firms across the globe as part of the Caumme-Paumme symposium, which explored the theme “Borders in Architecture”. MRA submitted Yarauvi, our proposal for a floating necropolis in the Dead Sea on the border between Israel and Jordan. 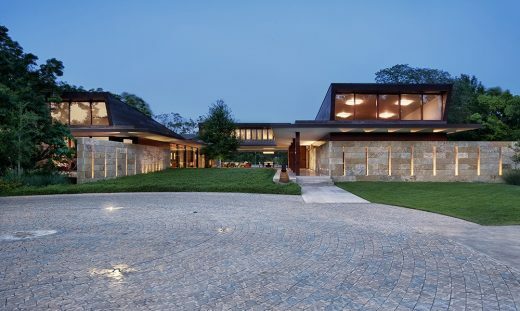 Closer to home, “PERSPECTIVAS dosmil18”, an annual exhibition showcasing the work and talent of Latino architects and designers throughout Austin, featured the Westridge Residence by Miró Rivera Architects. 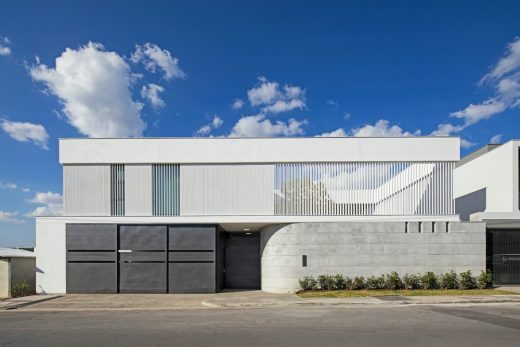 Miró Rivera Architects is one of only 17 firms in North America (and the only firm in Texas) to be included on ArchDaily’s list of the world’s best architects. ArchDaily is the most visited architecture website worldwide, with over 500,000 daily readers. The list of “World’s Best Architects” was selected by a team of international editors. A conversation with partner Juan Miró is the focus of the latest episode of Design:ED, an architecture podcast that looks into the field from the perspective of industry leaders. Listen on Apple and Google Play. Meanwhile, Miguel Rivera gave a lecture at Universidad de Puerto Rico, his alma mater, exploring the complex process of bringing ideas to life. And associate Matthew Sturich spoke at the Hill Country Living + Rainwater Revival Festival about the green features of the Hill Country House. Copyright © 2018 Miró Rivera Architects, All rights reserved. The Hill Country House was 1 of 4 winners at this year’s Austin Green Awards. The residence is a model for green living, powered by solar panels, with geothermal climate control, and on-site rainwater collection. Partners Juan Miró and Miguel Rivera took turns as critics for the studios of Mexican architect Tatiana Bilbao, a visiting professor at Yale and Columbia universities. MRA has paired up with TBG Partners to design signature elements of the new 183 South Expressway Project, a tolled expressway featuring miles of new highway, bicycle lanes, sidewalks, and share use paths. The project includes a variety of features designed by MRA, including distinctive V-shaped supports for the overpasses, visual screens, vehicular and pedestrian bridges, and precast sound walls. The award-winning architecture of Residence 1446 has been making headlines across the web, with features on popular design blogs including ArchDaily, Contemporist and Dwell. Forming the centerpiece of a master plan that includes a guest house, pedestrian bridge, and boathouse, Residence 1446 acts as a hub for the entire complex. The design connects to its expansive site through panoramic views and outdoor living spaces. The Republic Square Park Kiosk in downtown Austin is open for business. Containing a full-service cafe and restrooms, the small structure is the final component of the revitalization of Republic Square, an active, urban green space grounded in rich history that traces back to the birth of the city. 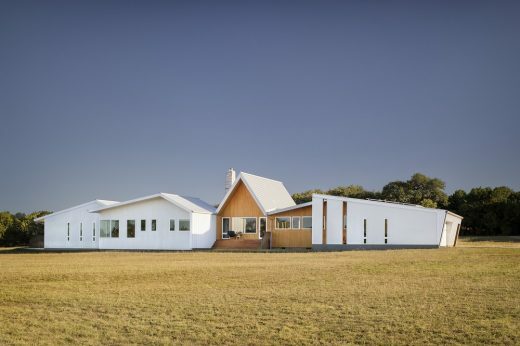 Both Vertical House and Chinmaya Mission Austin received honorable mentions from the American Architecture Prize. The jury selected the top projects from over 1,000 entries. The Box House renovation made its print debut in Puerto Rico’s Ambiente y Color, while Casa Ithualli was featured in major Mexican newsmagazines Casas & Interiores and Ambientes. Meanwhile, two MRA projects made the cut for Texas Modern, a compendium of residential projects across the Lone Star State. The book’s release received a shout-out from Architectural Digest, which highlighted the origins and evolution of Texas Modernism. Copyright Â© 2018 Miró Rivera Architects, All rights reserved. Austin, TX, USA – Just in time to grant one lucky winner’s Christmas wish, MRA has unveiled its latest project in Monterrey, Mexico: Casa Ithualli is a modern residence that will be raffled off on Friday, December 22 in a nationwide lottery to raise money for college scholarships. 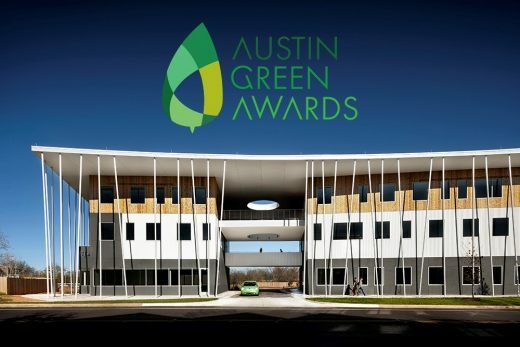 LifeWorks and the AISD Performing Arts Center took home honors at the inaugural Austin Green Awards celebration on November 9. Launched this year by the Center for Maximum Potential Building Systems, the awards are the first program “to specifically highlight the outstanding accomplishments in the broad area of sustainable design and innovation” in Austin. Located in East Austin, LifeWorks has earned a 5-star sustainability rating from Austin Energy Green Building. Designed with Pfluger Architects, the AISD Performing Arts Center anticipates LEED Gold certification. In June, Juan Miró traveled to Santiago, Chile to participate in the 2016 International Conference of the Association of Collegiate Schools of Architecture. Juan joined a panel on urban tactics and strategies, presenting a lecture on re-imagining American cities and landscapes. In addition, Juan Miró and Miguel Rivera served as design award jurors for several AIA chapters—including the Potomac Valley, Baltimore, and Columbus. After receiving design awards from the AIA Austin and Texas Society of Architects in 2015, Chinmaya Mission Austin has been recognized on the international stage with a 2016 Faith & Form Award for New Religious Architecture. The program was founded in 1978 with the goal of honoring the best in architecture, liturgical design, and art for religious spaces. Chinmaya Mission Austin was published by South Korea’s C3 Journal in a feature on Indian architecture reinterpreted in the 21st century, while Hilltop Residence debuted in Puerto Rico’s Ambiente y Color magazine. Locally, Miguel Rivera was named one of Austin’s “most groundbreaking and refreshing architects” by Tribeza, which also included LifeWorks in a photo-essay documenting Austin’s coolest buildings as seen by bike. December 5, 2018 in Architects.